I'm afraid I'm no longer accepting freelance work or proposals. Alex is simply a great dev - understand problems, finds solutions, is 100% ethical and seems to genuinely enjoy making great products and providing great service. I hope to continue working with Alex on many projects in the future and recommend him to anyone. Alex knows his stuff! He resolved the issues we had with our system very quickly and we can thoroughly recommend his service. Thanks Alex! 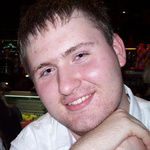 Alex produced a very well made website in good time that works fantastically on mobiles, tablets and desktops. Fantastic work by Alex. Reliable, intuitive and has finished our project to a good standard. Alex has helped us with security testing our website. He was very professional and capable and communication was prompt and effective. Recommended.